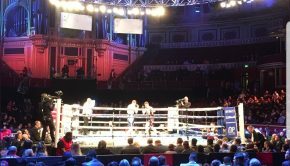 British boxing has undergone a major resurgence in recent years, with the likes of Anthony Joshua and Tyson Fury thrilling global audiences and enjoying huge rewards for doing so. But the story of Dwayne Jones highlights the darker side of what former world heavyweight champion Lennox Lewis called the ‘sweet science’. A good prospect in the light-heavyweight division, Jones is undefeated in five professional contests, but he hasn’t fought in over 14 months and has informally announced his retirement from boxing at the age of 26. He told Elephant Sport: “I lost the hunger. When you turn pro, you maybe start to see hundreds of thousands of pounds and this glamorous life, but I wasn’t seeing that. Jones continues: “When you come into boxing, you don’t realise how dirty it is; everyone is in it for themselves, it’s a dirty sport, trust me. 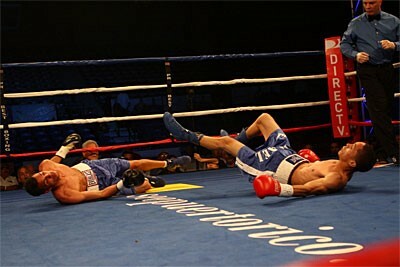 Look at it like this – you have journeymen who fight; they know they are going to get knocked out. “But fighters like me train to some extreme level for pence and at any time I could lose my life or knock someone out. Some might say that, for a fighter with so much promise, Jones is being impatient in ending his boxing career so soon. But for many fighters like him, especially those from humble beginnings, financial security is the be-all and end-all of the fight game. “Many fighters come into boxing with that [money] aspiration. But they don’t know what they are signing up for. If you look at AJ for example, he’s a multi-millionaire; then you look at [his promoter] Eddie Hearn – who do you think has more money? “AJ is the biggest boxer in the country and he still earns less than a promoter, because promoters can do 60 shows a year, taking 20% of each fighter’s purse, Hearn ain’t getting punched in the face. “As a fighter you can only fight three times [in a year] maximum, and in between that you’re training – and you don’t get paid to train. Training is the hardest part, waking up at 6am to run, eating bland food; everything you put in your body has to be checked. Jones admits he started boxing “for all the wrong reasons”. 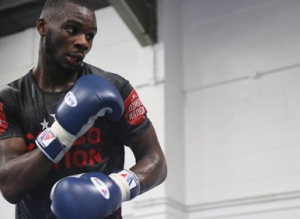 Despite his decision to quit the ring, Jones can look back on a successful time in the sport which included sparring with some of England’s best prospects. ‘I was training at a high level, sparring with some good guys at the time, people who coming through the ranks. 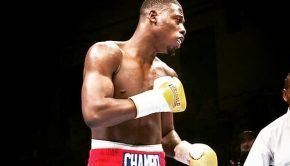 People like Chris Kongo, Joshua Buatsi, Richard Riakporhe, Isaac Chamberlain. I even sparred with Anthony Yarde for one round, but he was a beast, he hits hard. ‘To me all of those guys can [get to the top], but Yarde was an animal, non-stop attack, like I was landing shots and he was still coming forward. ‘Riakporhe is cruiserweight, so that was actually better for me because in my mind I was thinking if he beats me it’s because he’s bigger so it made me fight with less pressure. “Kongo he will be a great fighter, in fact if I had to put money on it I’ll say he will go the furthest. “He was probably the hardest fighter to fight I’ve ever had to fight. I like to land punches; if I don’t land then I get disheartened, and I was swimming when I was fighting him. He is great defensively. On a whole it is a great time to be a British boxing fan due to the emerging talent coming through and it will be interesting to see who goes the furthest. With that said, boxing has in Jones lost a fighter who could have been a real star.